When creating a free site you can now use your cell phone to verify, instead of entering a credit card. 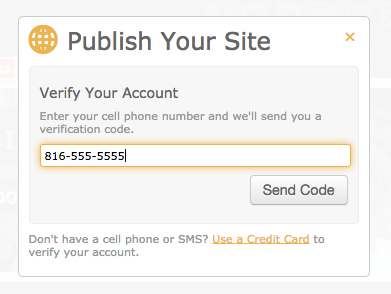 This will send a 4 digit code as a text message, which you'll need to enter to finish publishing your site. We're asking that you verify your site to prevent spammers from creating sites. More info.